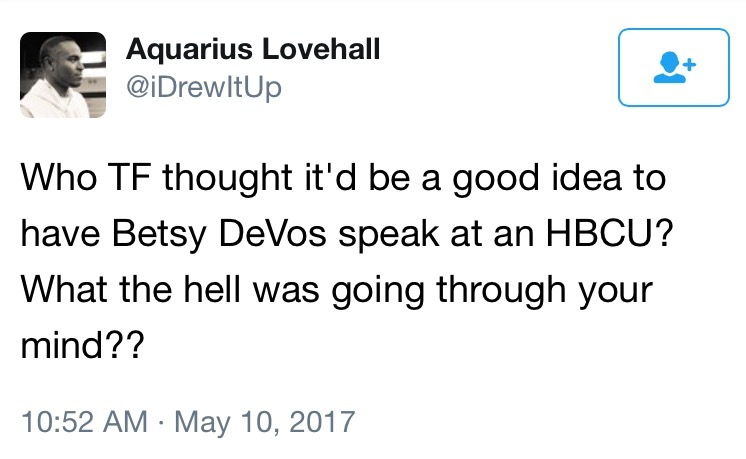 She probably finally realized speaking at an HBCU wasn't the best idea. 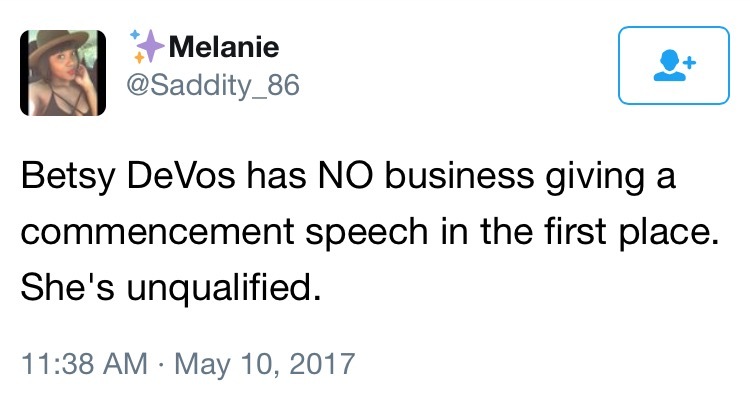 Betsy DeVos got herself an education today. Students at Bethune-Cookman University, where the secretary of education gave a commencement speech today, made it very clear when she was announced as their speaker that they didn’t want her. One recent BCU graduate even went so far as to start an online petition to have the speaker changed that received almost 10,000 signatures. Deciding to soak the matches in gasoline, the Trump camp chose to send none other than Omarosa along with DeVos. Why? Who knows, maybe Rod Rosenstein sent Trump a questionably-dated letter saying it was a good idea. Yes we do, we saw all about her and her story on The Apprentice. And Say Yes to the Dress. If anything, we know way, way more about her than we'd like. From there on out, the hall was an echo chamber of booing and chants of protest. When DeVos was introduced, students booed. When she started speaking, they booed. Then they stood up, and turned their backs on her. She tried to continue, talking ever louder, half-shouting into her microphone empty platitudes about democracy and higher education being about debate and differing viewpoints. Guess which way they chose? Guess! Those against the graveside visit don’t really have much to worry about; Dr. Bethune’s probably rolled out of it already. 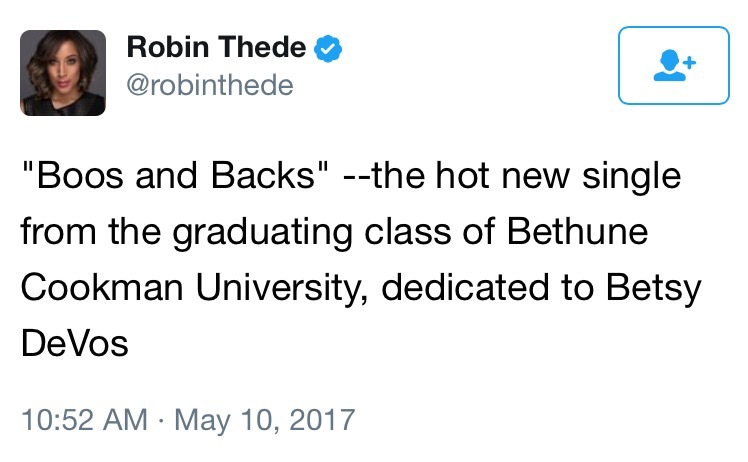 If this sort of tone-deaf and unhelpful outreach is what Donald Trump’s “unwavering support” for HBCUs looks like, Dr. Bethune help us all.